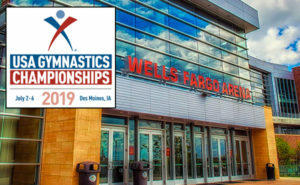 Tickets for the 2019 USA Gymnastics Championships, the national championships for acrobatic gymnastics, rhythmic gymnastics, and trampoline and tumbling, in Des Moines, Iowa, go on sale today at 11 a.m. ET. All of the latest news from the USA Gymnastics Championships. Photos and videos from the competitions past and present.